Kim Ovitz gives a public presentation on the Kenai Marine Mammal Monitoring Project in Girdwood, Alaska, in April 2018. Kim Ovitz’s research on beluga whales on the Kenai Peninsula has received international attention recently. Through her Alaska Sea Grant State Fellowship, Ovitz has been observing beluga whales at the mouth and lower reaches of the Kenai River. Aside from monitoring, Ovitz has also been using qualitative research methods to document local knowledge of marine mammal distribution and ecosystem change in the area. She’s been working under the supervision of National Oceanic and Atmospheric Administration staff from the Protected Resources Division in Anchorage. Her work was featured by the Peninsula Clarion, a story that was reprinted by the Associated Press, the New York Times, and other news outlets. Ovitz’s observations are notable because these whales are showing up in the Kenai River earlier in the season and in greater numbers than previously thought. Cook Inlet belugas are a small, genetically distinct population listed as endangered because their numbers have been dwindling for decades. The official estimate in 1979 was around 1,300 whales. The most recent estimate from two years ago is 328. Scientists have been unable to pinpoint the exact cause of the sharp decline. They theorize that subsistence harvest of the whales at unsustainable levels was initially a major cause, according to NOAA. Subsistence whale hunting was severely restricted in 1999 but beluga numbers have yet to recover. To help better understand beluga distribution in the middle of Inlet, Ovitz moved to Kenai last winter, where she established six monitoring sites. She then used a protocol she designed to observe marine mammals and collect local knowledge from area residents. Among the more surprising observations that Ovitz made was that large groups of as many as 27 belugas used portions of the Kenai farther upriver and more frequently than typically thought. “Not only were we seeing them at river mile one or two, which we definitely knew they used, but we were seeing them almost every day at river mile 5 and 7. That is quite away upriver past a lot of development, past a lot of housing, past designated critical habitat. From my understanding based on the comments some of my colleagues have made, we thought this was sort of a rare phenomenon,” Ovitz said. She observed that whales in the study area were active almost every day from mid-March and through the end of April. But during May, when the hooligan were running, no whales were seen by the monitoring team. “That was surprising because hooligan is a preferred prey species, and even though the fish were there, the whales were not,” she said. May is also when human activity on the river picks up dramatically. Whether that has something to do with the absence of observed whales is unknown at this point. Ovitz, 27, is a newcomer to Alaska. After completing her master’s degree in marine policy from the University of Maine last year, she won an Alaska Sea Grant State Fellowship. 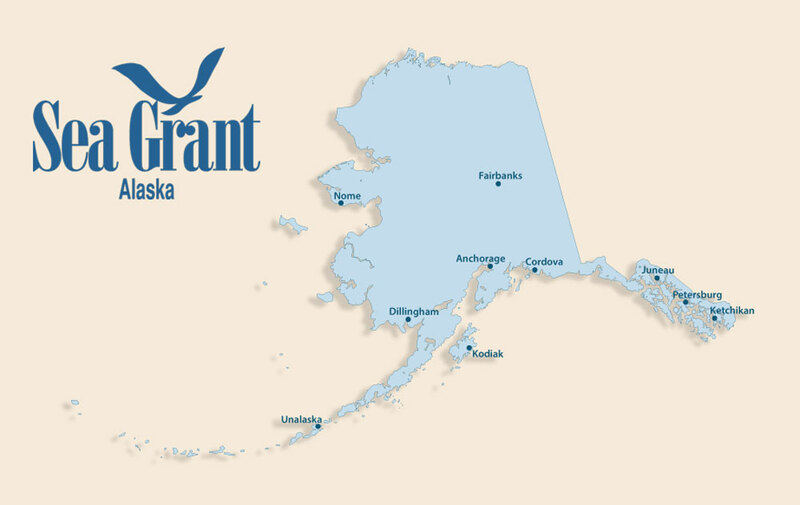 The fellowship matches highly motivated and promising graduate students with career-enhancing job placements in Alaska. “This has been an incredible opportunity and it’s challenged me in many ways. For instance, I had to be very independent in my work on the Kenai. I went down there solo and not having been from Alaska, I had to figure out all the minutia from housing to travel grants and relocating,” she said. But this opportunity has also been interesting on a professional level. “It’s allowed me to work on projects that I would never have anticipated being a part of. My background is in social thought, political economy, and natural resource conservation, yet during my first month at NOAA I had the opportunity to spend a lot of time helping out on necropsies,” she said. Ovitz said she would highly recommend this fellowship program to others studying marine policy, fisheries and other ocean and freshwater-related topics. Ovitz’ fellowship will conclude at the end of the summer. She would like to stay in Alaska if the right opportunity comes her way.